The 10 Best Omelets in Maine! Breakfast is the best meal of the day. From pancakes to bacon to eggs, there is a breakfast dish for those who love sweets and those who love savory dishes. 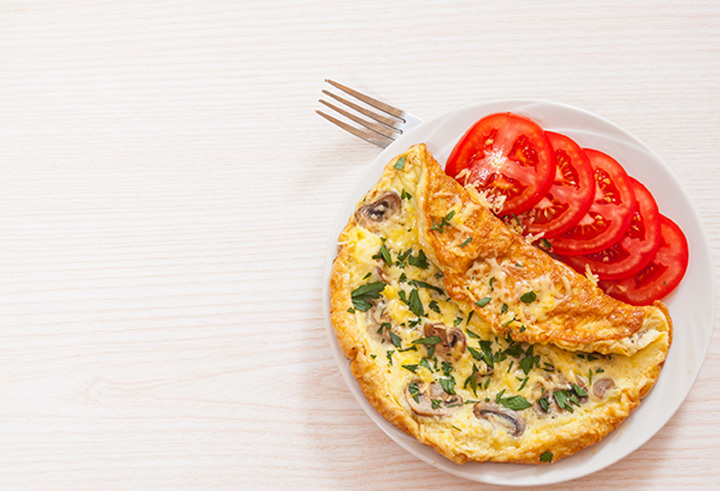 Omelets are perhaps one of the healthier choices when it comes to breakfast. High in protein, omelets are also versatile. Toss in some meat or some veggies and you’ll have a well-rounded breakfast feast. Here are the 10 best places to grab an omelet in Maine! With a name like the Omelette Factory, you would think you’d see tons of omelets on the menu. And that you do! The Omelette Factory offers over 43 different omelet combinations from the “Basic” with cheese to the “Mixed Grill” with an assortment of meats to the “Surf & Turf” with lobster and steak. Each omelet is served with a slice of sweet bread and half an English muffin. Nestled in a quaint 1860 brick Victorian building in the West End, Hot Suppa is a southern kitchen serving up breakfast, lunch, and dinner. Hot Suppa has been named one of the best breakfast joints in Maine by Yankee Magazine and Bon Appetit Magazine. Their menu offers a customizable French-style omelette with your choice of ingredients and cheese. And don’t expect to find Kraft singles here. Hot Suppa uses local Pineland Farm cheese in their omelets. Formerly known as Bintliff’s American Café, the Bayside American Café is known for having the “best brunch in Portland.” Both their breakfast and brunch menu have a variety of omelets on the menu. During brunch, you create your own custom omelet with three eggs and four ingredients from the very long list of exceptional ingredients. Crissy’s Breakfast & Coffee Bar has been serving breakfast, lunch, and lots of coffee since 2010. Crissy’s has an extensive breakfast menu with lots of egg options. Choose from a veggie omelet or a custom omelet with your choice of fillings from bacon to broccoli to goat cheese and everything in between. Located close to Rangeley in the charming village of Oquossoc, the Gingerbread House Restaurant is fine dining in a casual atmosphere. The restaurant serves breakfast, lunch, and dinner year-round and you can even snowmobile to the restaurant during the winter months. The “Create Your Own Omelet” is a popular option on the menu. Made with three eggs and served with a side of toast or home fries, this dish will keep you full all day long. Helen’s Restaurant has been a Down East Maine favorite for over 60 years. Open seven days a week for breakfast, lunch, and dinner, Helen’s Restaurant buys directly from local farmers, fishermen, and specialty food artisans so you know your food is fresh. The omelets are made from fresh Maine eggs and served with their in-house homemade bread. Choose from six different flavors. Dysart’s is a longtime favorite truck stop. With two restaurants in Hermon and Bangor, you don’t have to go far to enjoy their extensive breakfast menu. All their omelets are made with three eggs and are served with a side of home fries, baked beans, or half a grapefruit. Choose from their “Top 10 Omelets” list or create your own. Governor’s Restaurant & Bakery is a locally owned Maine chain restaurant with six locations across the state. Governor’s got its name from Leith Wadleigh’s favorite customer greeting, “Hi ya, Governor.” The menu has an omelet for everyone from meat lovers to veggie options. The Maine Diner has served over seven million people and counting over its 30 years in business. Even Guy Fieri has spent some time in the kitchen here cooking up some of the customer favorites. Choose from a selection of omelets, including the famous lobster omelet, or create your own. You won’t be disappointed here.